Perfect World Entertainment is happy to announce its latest Perfect World International expansion -- PWI: Descent! Launching on February 15th, Descent will bring a host of new features and content to the beautiful and robust game that started it all. Head over to the Teaser Site to watch the video, view screenshots, and sign up for the special launch gift! Long ago, evil specters roamed about the universe aimlessly. Perfect World’s creator, Pan Gu, having mercy on them, created a world just for them – the distant realm of Morai. 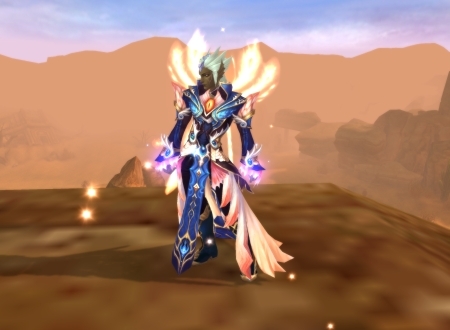 The sole gateway to Perfect World from Morai was placed in Elysium Village, and a protective enchantment ensured that creatures remained in their respective worlds. Much of PWI:Descent's new content is geared toward higher level players, so if you're looking for a new angle in high-end PvP or a new path to 105, you'll be very pleased with what you see come launch day. 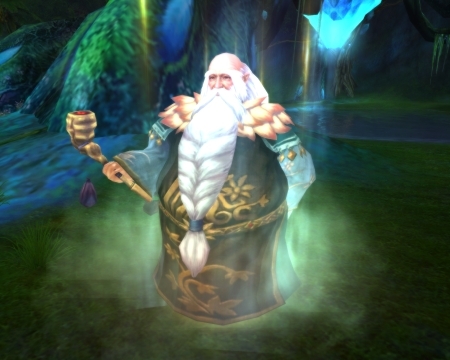 The land of Morai, accessible to players level 95 and above, can only be reached via an NPC in Elysium Village, and then afterwards via a special Teleporter NPC in each of the main racial cities. 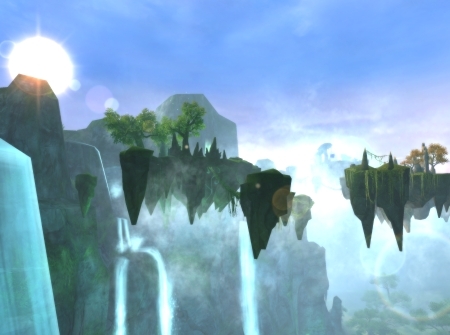 Morai is a vast land with a dynamic landscape, many new quest hubs, dozens of new quests, and two new dungeons. Upon arrival, you will be tasked with finding out who destroyed Elysium Village, as well as the evil force behind the sudden organization of Wraiths in Morai. PWI: Descent will bring the addition of several brand new high-level gear sets of varying quality. While the lowest tier sets will be attainable simply through the main story-line, the more powerful sets will require a bit more skill and persistence, as well as a good relationship with the Order that you choose. As you begin questing in Morai, you'll happen upon three Orders vying for control of the region - the wise Order of Corona, the scheming Order of the Shroud, and the mercurial Order of Luminance. 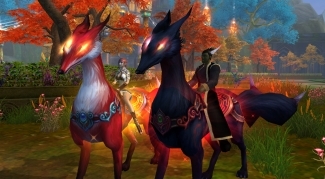 Upon choosing an Order to enlist in, you'll gain access to a number of distinct perks, from powerful gear to unique high-level skills, to special vanity pets. Easily one of the most exciting aspects of the Descent expansion is the fact that all ten character classes will be receiving brand new skills. These aren't your run of the mill new skills either -- we're not talking about a second heal or another DoT, we're talking about real game-changers; things like Archers gaining the ability to cloak and Clerics gaining the ability to lay waste. In addition to these brand new skills, there will also be balance changes to currently existing skills. Tactics and strategies will no doubt be changing when Descent hits, and players will have to adapt or be destroyed. And finally, get ready, because we will be resetting the territory maps on all US and EU servers on February 14th during that night's maintenance! For each server, one champion will be declared -- the faction holding the most territories come Monday the 13th. From here on out, we would like to make Territory Map resets a regular, more frequent occurrence because it promotes competition, reduces the opportunity for a long-standing server monopoly, and creates a more dynamic TW landscape. So from now on, Territory Wars will be broken up into 6 month-long seasons. And what of the champion? The faction crowned at the end of each season will receive a special prize which will likely change from season to season. In the event of a tie, the champion will be determined by 3v3 armed combat between the factions' most powerful warriors. We'll also be working on a way for champions and past champions to be displayed proudly on the PWI website. The trailer showed next to nothing about the content, and that purply picture seems to depict a rip-off of Vindictus' Transformation skills. The only redeeming quality I can find about this is the fact that it's launching on That's What She Said Day. It's not news that PW rips off of more popular MMO's. I don't care though. I'm just happy that I'm finally at a level where I can go into a new dungeon.